(NaturalNews) Ten years after the release of Al Gore's Inconvenient Truth, none of the film's dire climate change predictions have come to pass. However, in the decade since the documentary was produced, its creator has raked in millions of dollars from the entire "global warming" scam, and is now poised to become "our first carbon billionaire." "In the mid- to late-2000s, Gore repeatedly predicted that an ice-free Arctic Ocean was coming soon. But as usual, his fortune-telling was wrong. By 2014, Arctic ice had grown thicker and covered a greater area than it did when he made his prediction." "A new study by Canadian scientists once again debunks the notion polar bears are currently being harmed by global warming. 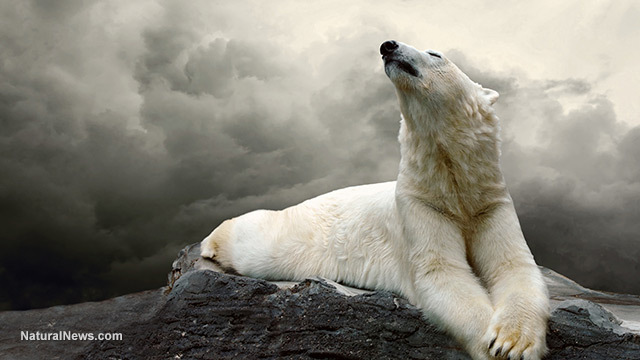 Researchers with Canada's Lakehead University found 'no evidence' polar bears are currently threatened by warming." "In 2014, ecologists actually monitoring Kilimanjaro's snowpack found it was not even close to being gone. It may have shrunk a little, but ecologists were confident it would be around for the foreseeable future." "Gore's claim is more hype than actual science, since storms aren't more extreme since 2006. In fact, not even findings from the United Nations's Intergovernmental Panel on Climate Change (IPCC) support Gore's claim. "Gore should probably take these findings seriously since he shared the Nobel Prize in 2007 with the IPCC for its work on global warming." Although Gore's claims have been thoroughly debunked by a number of experts, he has been quietly amassing a huge fortune based on the climate change scam. "Gore's wealth went from $700,000 in 2000 to an estimated net worth of $172.5 million by 2015 thanks to his environmentalist activism. Gore and the former chief of Goldman Sachs Asset Management made nearly $218 million in profits between 2008 and 2011 from a carbon trading company they co-founded. By 2008, Gore was able to put a whopping $35 million into hedge funds and other investments." There is a growing consensus that Al Gore has perpetrated a massive fraud against the American public, and many believe that he should be held accountable. "Perhaps this lawsuit will finally give the thousands of 'dissenting' scientists a voice again."